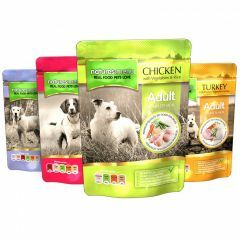 Natures Menu Adult Dog Food Multipacks are a mighty meaty selection of complete and balanced natural, healthy steam cooked meals for adult dogs. 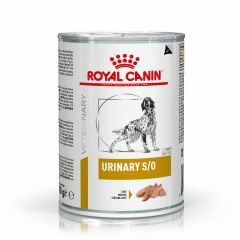 They are filled with quality raw ingredients including human grade meat. 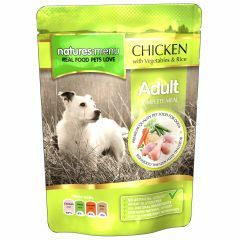 Natures Menu Chicken with Salmon and Rice is a delicious, complete and nutritionally balanced meal for adult dogs. 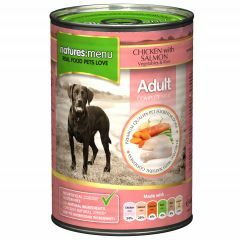 Made with real human grade chicken and responsibly sourced salmon. 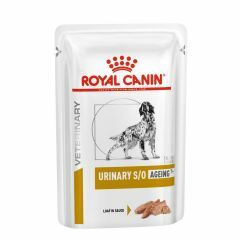 Natures Menu Chicken with Vegetables and Rice Dog Food is a healthy and convenient complete and balanced meal for adult dogs. 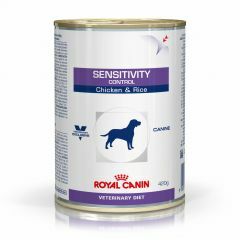 It contains steam cooked tender chicken with vegetables and wholegrain rice. 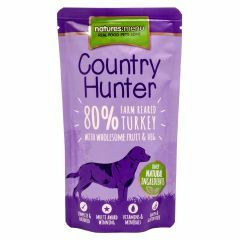 Natures Menu Country Hunter Farm Reared Turkey Dog Food is a single protein, complete and nutritionally balanced meal made with 80% real human grade turkey. 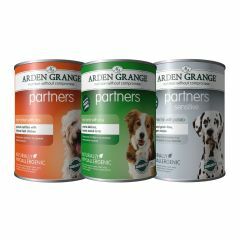 It is grain free, chicken free and low in fat too. 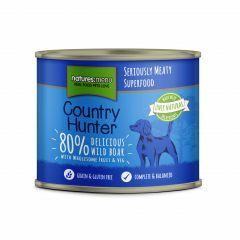 Natures Menu Country Hunter Wild Boar Dog Food is a nutritionally balanced, single protein meal, made with top quality raw ingredients. 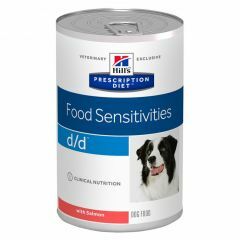 Hills Prescription Diet D/D Food Sensitivities Canine Wet Food is formulated for the nutritional management of dogs with any skin condition and vomiting/diarrhoea due to allergies. 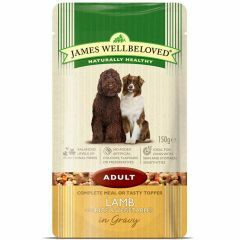 James Wellbeloved Adult Dog Food Wet Pouches with Lamb, Rice and Vegetables in Gravy has specially selected wholesome ingredients made for adult dogs from 12 months to 7 years. 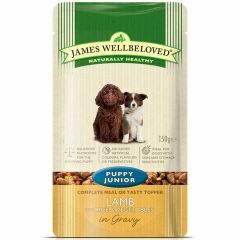 James Wellbeloved Puppy Food with Lamb, Rice & Vegetables in gravy Pouches are specially crafted and nutritionally balanced for the health and wellbeing of puppies and junior dogs (aged from 8 weeks old+). 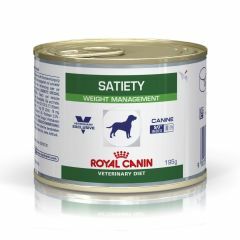 Royal Canin Veterinary Diet Canine Sensitivity Control Wet is a complete dietetic feed for dogs formulated to reduce ingredient and nutrient intolerances. This dietetic feed contains selected sources of protein and carbohydrate. 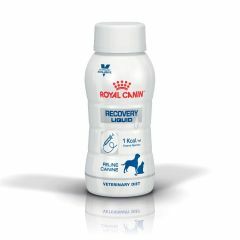 Royal Canin Recovery Liquid for Cats and Dogs is for convalescence, re-feeding after periods of anorexia, malnutrition, post-surgery and intensive care, hepatic lipidosis or acute and chronic diarrhoea. 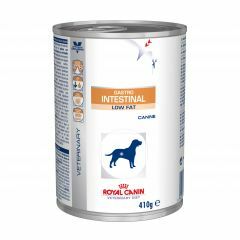 Royal Canin GI High Energy Liquid is for dogs with acute and chronic diarrhoea, gastritis, colitis, Exocrine Pancreatic Insufficiency (EPI), maldigestion/malabsorption, dysorexia or re-feeding after surgery. 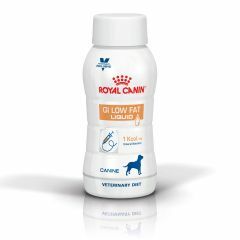 Royal Canin GI Low Fat Liquid is for dogs with acute and chronic pancreatitis, hyperlipidaemia, lymphangiectasia, exudative enteropathy, delayed gastric emptying or Exocrine Pancreatic Insufficiency (EPI). 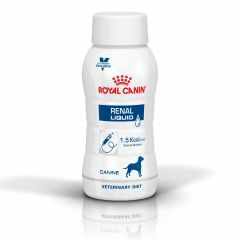 Royal Canin Renal Liquid for Dogs helps support dogs with acute kidney injury, Chronic Kidney Disease (CKD) or hepatic encephalopathy. 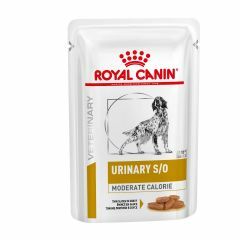 Royal Canin Veterinary Diet Canine Gastro Intestinal Wet is a complete dietetic feed for the nutritional management of dogs formulated to reduce acute intestinal absorption disorders, and promote nutritional restoration and convalescence.